The block of text about the email sender that you commonly see after the content or body of an email message is called the email signature. 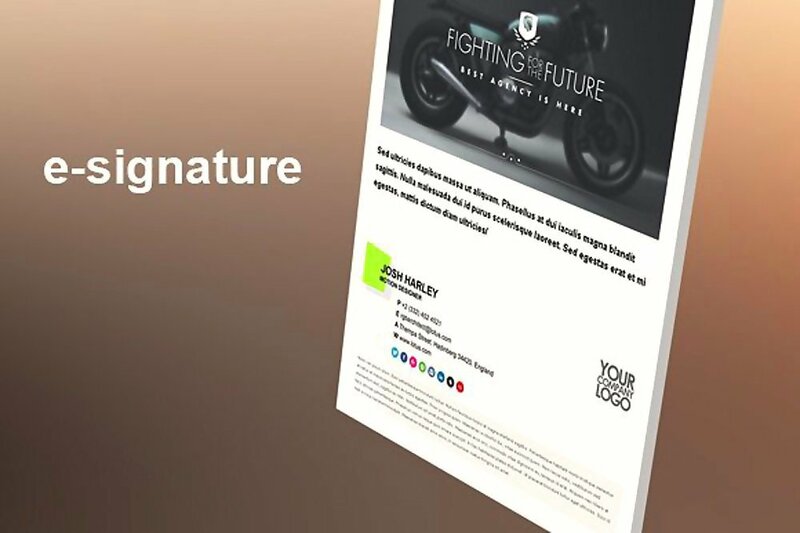 There are different ways on how email signatures can be created; either with regards to the personal taste of the person who owns the email address or the regulations that are needed to be followed from the company where he or she works. May it be seen in a feedback email or a client email, a professional email signature makes email message exchanges more appropriate for business transactions and other corporate or professional undertakings. 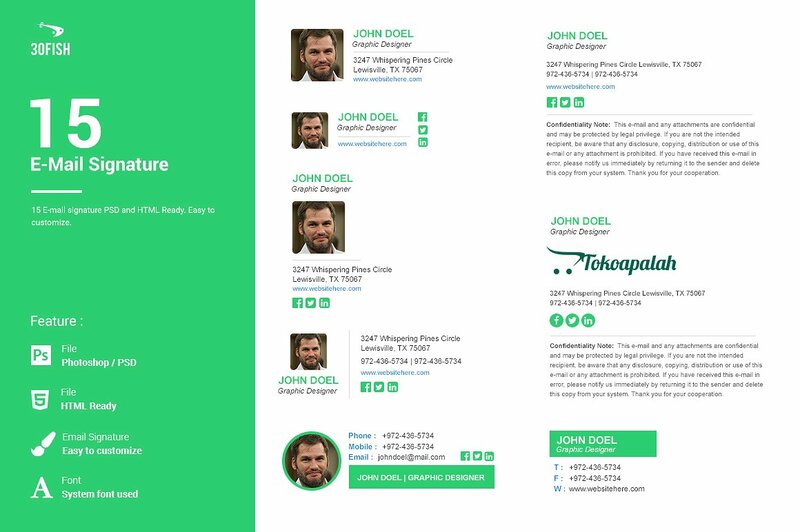 Learn more information that you may need when creating your own email signature by browsing through the samples that we have put together in this post. Your name. It is suggested for you to place your whole name, sometimes excluding your middle initial/name for security purposes, so that the professional email signature can look more business-like. However, there are companies that will require you to just place your first name, last name, or nickname on the initial part of the email signature. Be familiar with the regulations of your employer first before using a template for your own email signature. Your current designation or work position. Common email signatures only include the professional designation specifications of the email sender. There’s no need to place the division or department where you are currently designated at. However, exclusions for following this tip include instances and situations where direct transactions are needed to be addressed just for your team. If you think that your email activities is more related to the former, then only include your specific work position in your email signature. The name of the company where you are working. If you will use a corporate email signature, the name of your employer must be included in it. You may also incorporate your employer’s logo and business statement as long as these items will not make your professional email signature look bulky and irrelevant. Your business contact information. 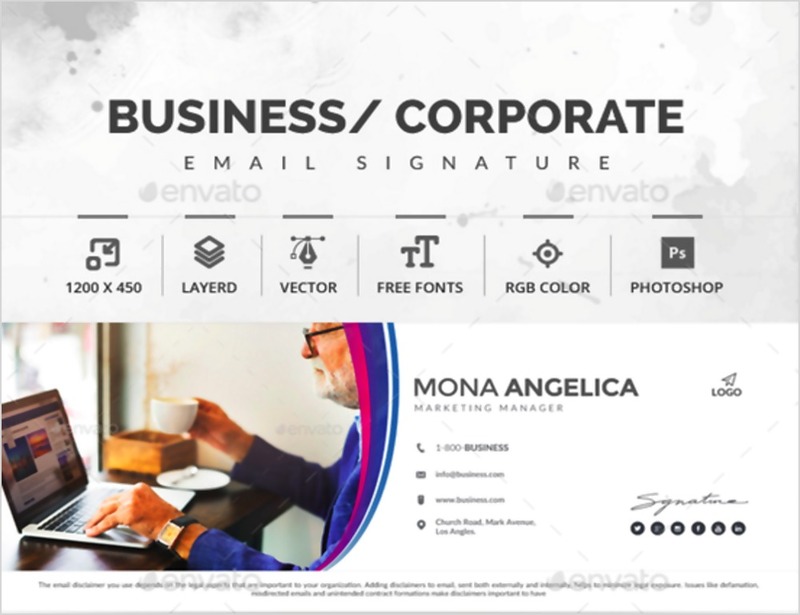 Most professional email signatures contain business contact information so that inquiries for the email owner can be received by the company first before directly forwarding it to the specific representative of the company who sent the email. This is made to protect the privacy of the individual, especially during transactions that are not appropriate to be done and/or addresses before or after work hours. Your personal contact details, if necessary. There may be instances where personal contact details may also be included. This is very evident in the field of sales and marketing as personal quotas depend on the individual performances of each executives or officers. Hence, these people need to ensure that they will receive direct inquiries, bookings, work commitments, and the like. 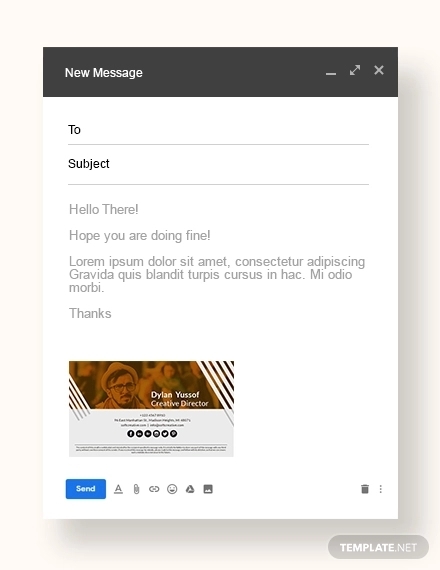 One of the main purposes of creating a professional email signature is to make the email receivers more interested in contacting the email sender which can directly affect the improvements of transactions that are specified in the email message. Here is how you can get the attention of your email receivers through the usage of an appealing email signature. Include a photo of yourself. There are no strict regulations that are needed to be followed when creating your email signature unless your company requires you to. 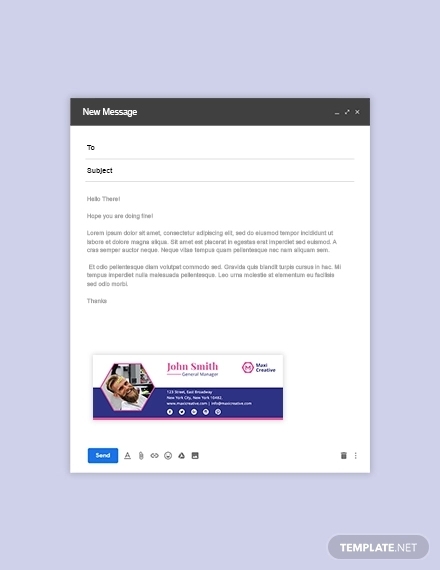 Since most email messages are text-heavy, you can include an image of yourself within your email signature so that you can get the attention of email readers. 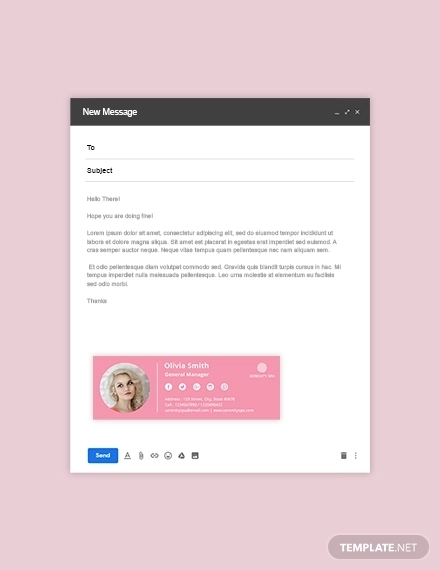 Putting your own photo at the end of the email can create an impression that you would like to further talk, communicate, and connect with the person who is reading your email message. Add an image that represents your business. If adding a photo of yourself is not coherent with your brand as a professional or if you just do not want to, you can include an image of your business instead. It can either be the products that you are selling, an icon that represents your business, or the photo of the actual facility where your business operations and processes are conducted. Incorporate a tagline. The tagline that you will put in your professional email signature can either be made from your own words or it can also be the actual tagline used by the company. Ensure that the tagline is not too long so that it can perfectly fit on the size of your email signature, as well as on the format of the template that you will use. 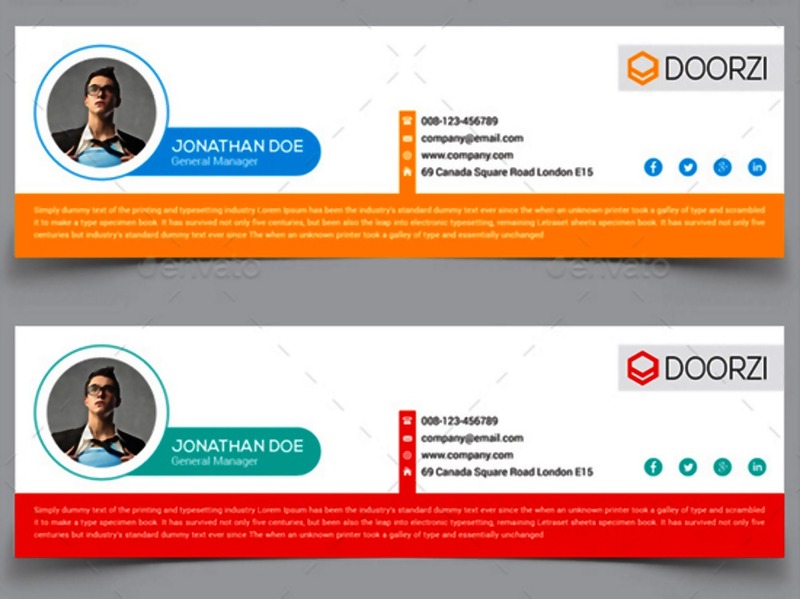 Make your professional email signature colorful. 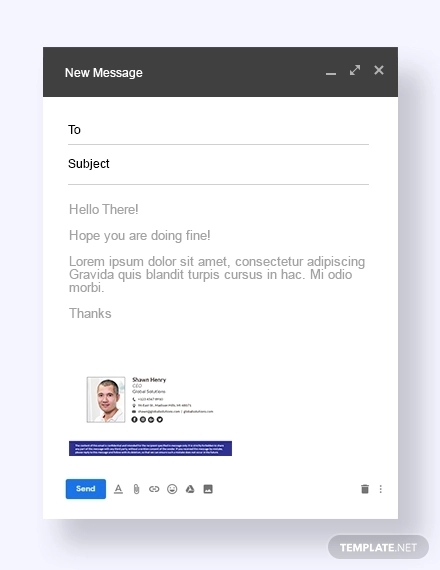 A vibrant professional email signature can easily grab the attention of the people who will browse through the email messages. Make sure to select colors that are relevant to the business so that your email signature can be easily associated to the company to whom you are working for. Use an understandable and readable text format. 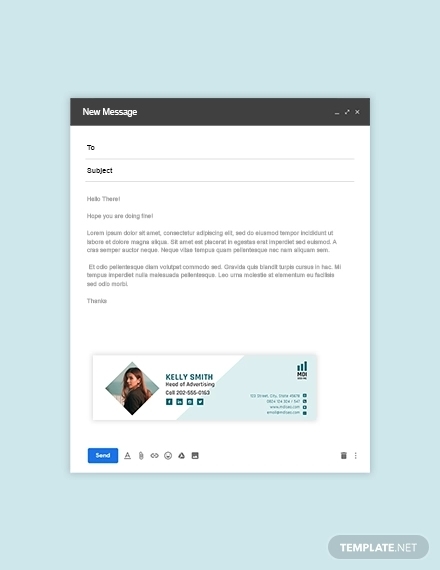 The size of the texts of your professional email signature is expected to either be smaller or of the same size with that of your email message. Always remember to make the content of your email signature easy to understand so the purpose of creating one can be achieved. When selecting the text size and formatting, consider the people who are using mobile devices when reading email messages. Select a font style or face that is professional-looking and presentable. You can achieve an understandable and readable professional email signature if you will be keen and thorough in selecting the font that you will use. Veer away from the usage of calligraphy and artistic fonts as it can lessen the corporate appeal of the professional email signature. Also, there may be devices that may not support the font style of your choice. We suggest for you to use common business fonts like Arial, Times New Roman, and Calibri. Be aware of the spaces and spacing methods that you will use. 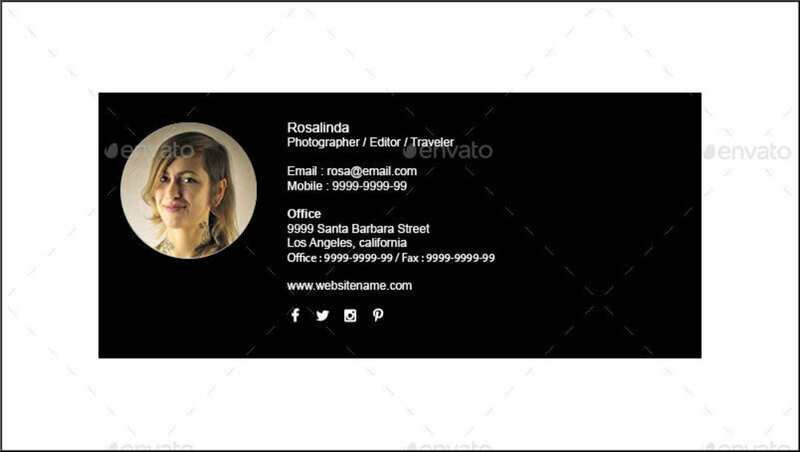 The format of your professional email signature can be greatly affected by your spacing. Avoid using double spaces as it can irrelevantly make your email signature lengthy. Make the content of the email signature properly displayed and put together by using single spaces. 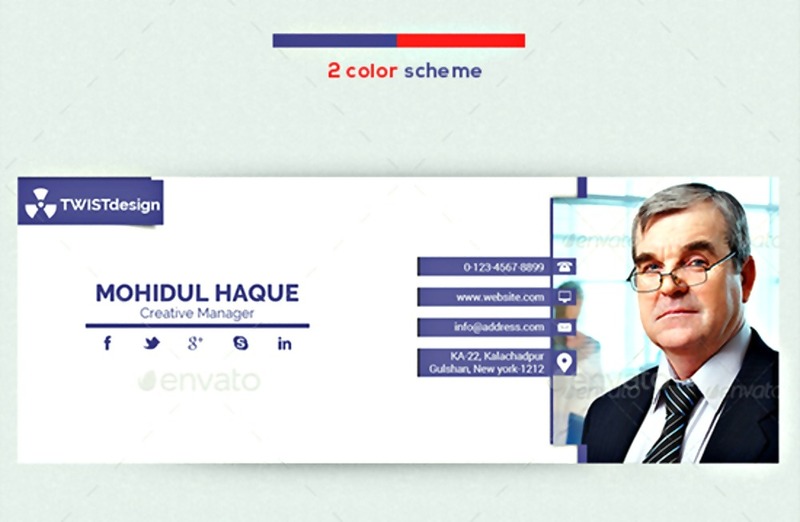 Build a color palette that you may incorporate in the professional email signature design. 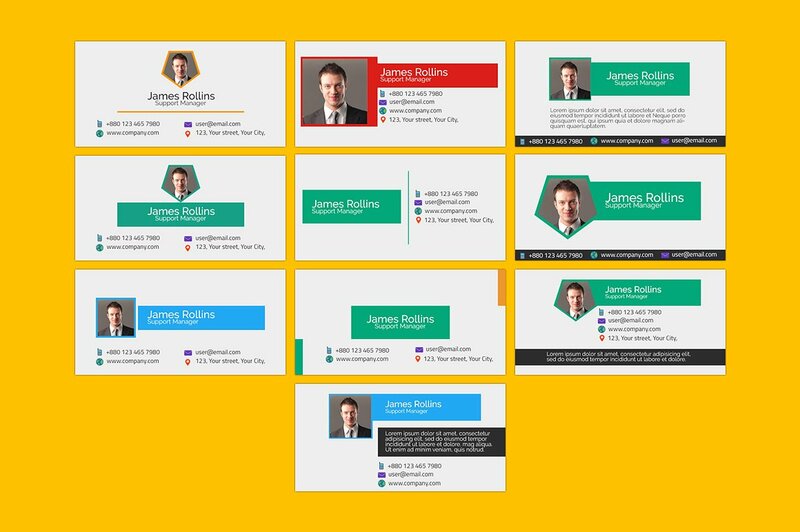 Before creating the format of your professional email signature, we highly suggest for you to develop a color palette first. This can help you create a more cohesive format guide especially if you will only select two to five colors to use. 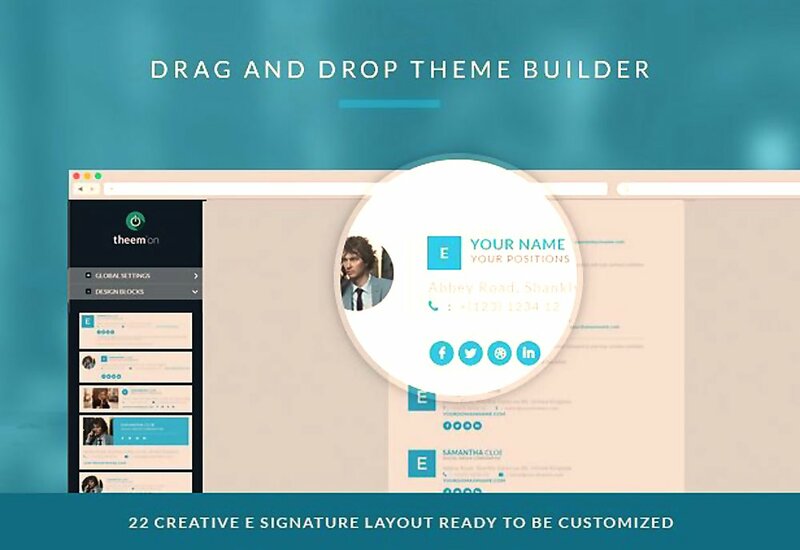 Refer to samples and templates for an easier and faster process of the email signature creation. 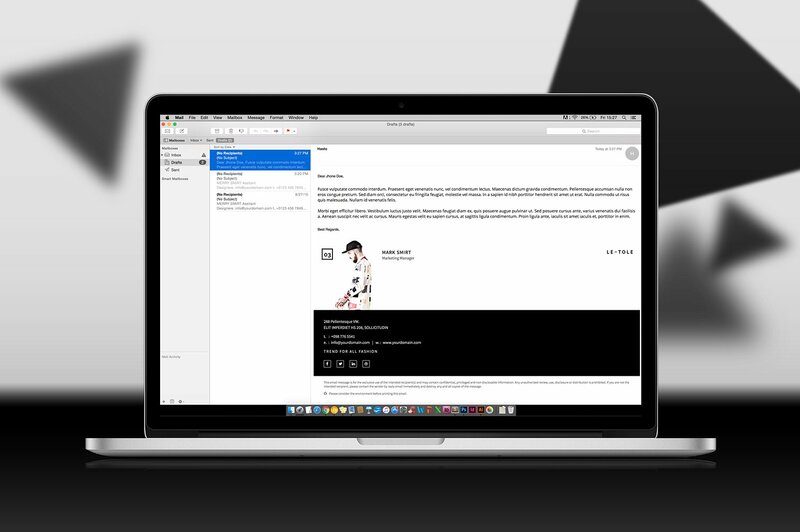 There are already a lot of downloadable samples of professional email signatures online. These items will help you to develop a professional email signature in the most convenient way possible. 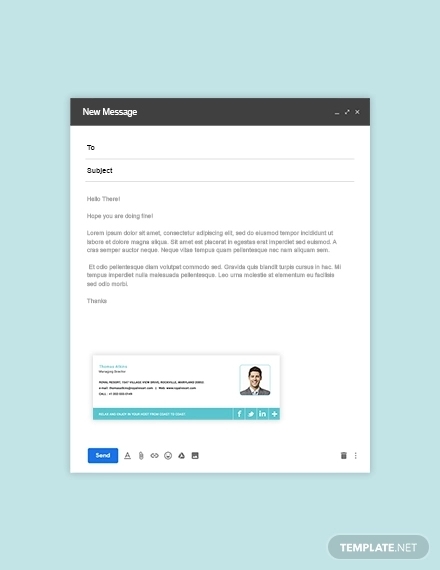 Be guided by samples and templates so you can easily identify the things that will work and those that will not, in relation to the creation of your email signature. 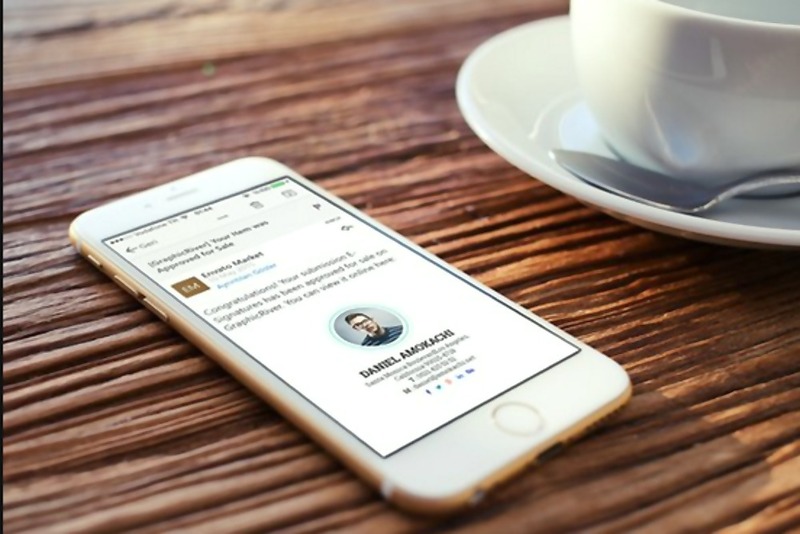 Make your professional email signature as simple but as appealing as possible. Look at the industry standards or the common email signature formats that are used by the businesses with the same nature of operations as your company’s. Always value the cohesion of the information that you will put together as it can provide an impression of how you present yourself as a professional. Remember that your professional email signature will associate you with your company. With this, you have to ensure that your email signature is applicable to be used for corporate transactions so you can represent your company properly and accordingly. You may include privacy clauses and confidentiality statements at the end of your professional email signature depending on the laws and regulations followed within the industry or the location of the business. A professional email signature may be a simple addition to the entirety of your email message but it sure does affect the perception of the people who will receive your email about your professionalism. Make sure that your professional email signature can be an effective tool to reflect yourself as a corporate entity. 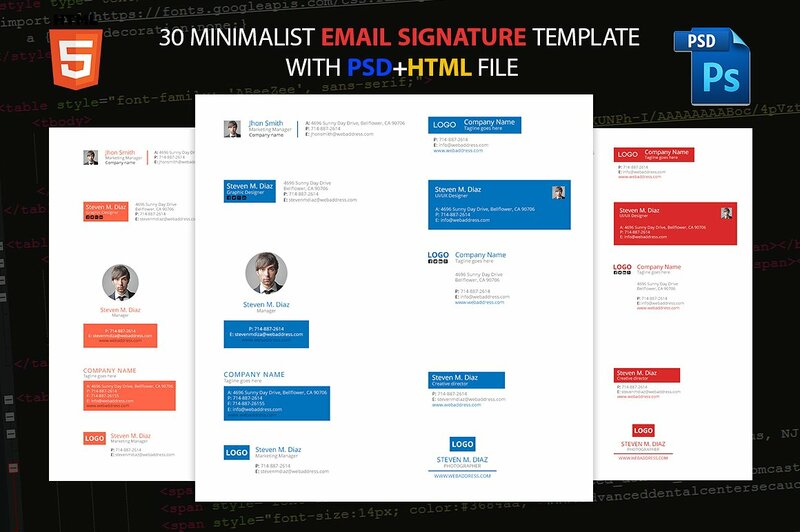 Within the processes of creating your professional email signature, do not forget the items that we have presented so that you can directly apply it in all the steps of your email signature development.